How smart electromechanical devices are reshaping the plant floor and associated maintenance functions according to Thomson Industries, Inc.
Industrial devices are becoming increasingly intelligent and connected, promising new capabilities for plant control and greater cost savings. These benefits will extend to the maintenance function as intelligent devices require less upkeep while also being better able to interact with asset management systems for condition monitoring and predictive maintenance. A closer look at recent developments with smart electromechanical shows how devices such as these are reshaping the plant floor and associated maintenance functions. In many plants, moving parts such as actuators are the most critical devices on the floor. They control vital functions such as valve movement in continuous process plants and conveyor adjustments in batch production plants. The first generation of actuators developed simply converts either pneumatic or fluid power into motion. 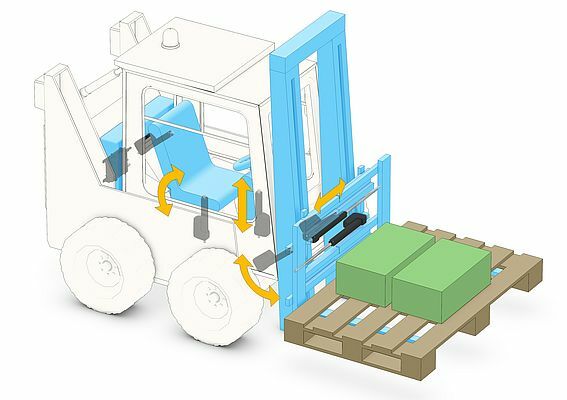 These actuators provide high-speed stroking at high volumes, but have limited precision and other drawbacks as well. Pneumatic actuators, for example, require a continuous supply of air, which is not cost-efficient for automation of intermittent operations. Hydraulic fluid-powered actuators are more energy efficient, but have higher maintenance demands with the potential fluid leakage. And neither pneumatic or hydraulic actuators can participate easily in control schemes. Increasingly, machine designers are choosing to replace pneumatic- and fluid-powered actuators with electromechanical actuators, which provide more energy efficient and cleaner operation. These electric actuators can provide both high-speed and high-precision performance, but legacy models have not been cost effective for automating intermittent activity. End users have preferred to perform intermittent tasks such as adjusting conveyor belts for product changeover manually rather than pay a significantly higher cost for capital equipment. 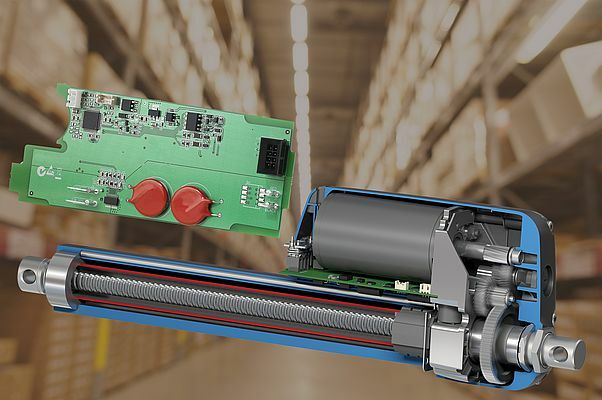 By integrating smart actuators into their equipment, machine designers give end users the ability to switch motor direction within the actuator itself. This low-level switching capability relieves users of the need to control an external H-bridge, and to install and maintain the heavy wiring needed to support it. Smart actuators require only two wires for power and a few thin control wires for communication with a simple switch, final element, PLC or other controller. This feature enables communications with network buses such as those using the J1939 CAN bus protocol for integration with other applications. It is the combination of such capabilities at a reduced price point that makes the new generation of smart actuators a good idea for intermittent duty cycle change-over applications. Where using an actuator to control conveyor height might have previously required a costly, high-precision actuator supported by a complex system involving stepper or servomotors and external switches; with just a few wires, machine designers can now connect a cost-efficient actuator with precision fit for purpose to the main automation controller for programming it like any other function. As long as the system can communicate with the actuator, it doesn’t matter whether the operation happens once a day or 500 times a day. Smart actuators provide great flexibility with a lower total system cost. 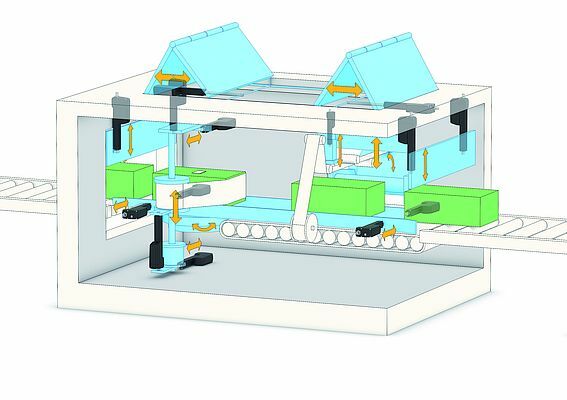 As factories get smarter and smart actuators are adopted, maintenance teams will find them a simple and pain-free part of their overall automation system. Maintenance technicians and facilities managers will find that smart actuators are cleaner and more energy efficient than fluid power solutions and require minimal attention to external wiring. Any maintenance the smart actuators require will be assisted by diagnostic information delivered across the network bus. The onboard electronics can, for example, track the number of cycles the actuator has run, and provide temperature measures and current consumption. Analysis of these factors could help determine whether increases in temperature or power consumption are related to abnormal wear on the system or to application demands. This information can also benefit maintenance simply by shutting down a process to protect the application and before overheating or current spike damages the actuator. Some OEMs are already using the communications capabilities to monitor actuator operations via the cloud to help end users manage spares and replacements more strategically. By tracking the number of cycles that have been run and forecasting replacement intervals for parts, manufacturers can alert customers of impending failures, and order, deliver, and even install new parts before the failure occurs. Increased adoption of intelligent actuators mirrors trends for many what is going on with most other devices on the plant floor. As valves, switches, pumps and other devices get smarter and better able to communicate, this will lead to greater efficiency resulting in a more productive and more easily maintainable environment.